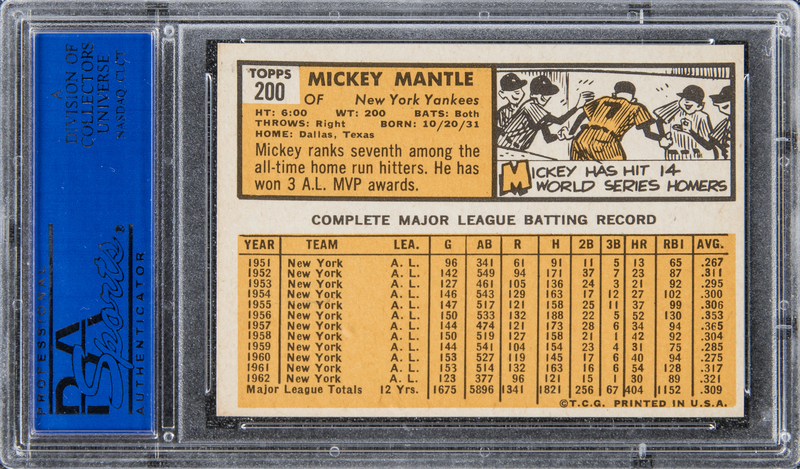 Graded MINT 9 by PSA. Hall of Famer. Among more than 5,100 copies recorded in PSA's census reporting, just two examples have attained a higher tier. Unimprovable visual harmony is achieved in this card's combination of bright photographic fidelity, untouched, scintillating surface gloss and conspicuously sharp corners. 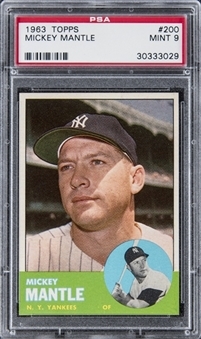 Not only is the portrait likeness of the Yankee icon splendidly presented, the surrounding colors (aqua in the inset batting illustration, green embracing the captions) display perfect quality in printing with no spots or interruptions. A superior example of this mid-career treasure! Undisputable Mint condition.